I decided to go with 1.75 mm filament with a Bowden cable extruder. This allows placing the extruder together with the filament spool, and only the hotend needs to move around. To make thing simple, I integrated the extruder motor with the spool holder, producing a neat little stand that is easy to put away in a closet when I'm using the CNC for milling. 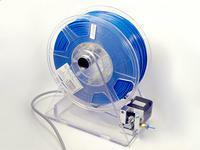 The spool holder was designed in SolveSpace and milled out of 6 mm polycarbonate. I designed it to hold up to 22 cm diameter 10 cm wide spools, large enough for most of the common sizes while small enough to fit in my box. The extruder motor is mounted from the underside with two countersunk screws. A nice thing about mounting the motor on the spool holder is that there is no worries about the filament getting stuck or knotted between the motor and the spool. As the distance between the spool and motor is very small, the spool will closely follow the travel of the filament, instead of spinning freely and uncoiling. The extruder is a basic all-metal direct-drive extruder bought from eBay. The mechanism seems good enough, except for the stock gear which is not suitable at all for moving soft plastic filament. It shreds and slips, and appears to be more like a generic pinion than a gear designed for an extruder. Fortunately, milling a new gear with a CNC router is a piece of cake. I decided to replace also the idler with a gear, so that the extruder will grab the filament from both sides for maximum traction. 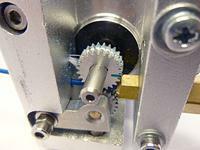 The uppermost gear is driven by the stepper, the filament sits in a circular groove between the gears and the gear teeth mesh on the sides so that also the lower gear gets moving. The gear shape was designed in Inkscape using the gear generator extension that comes with the program. It was milled out of 5 mm thick aluminum with a 0.5 mm endmill. After that I mounted the gear on Dremel and used a file to cut an approximately 1.6 mm diameter semicircular groove all around the gear. 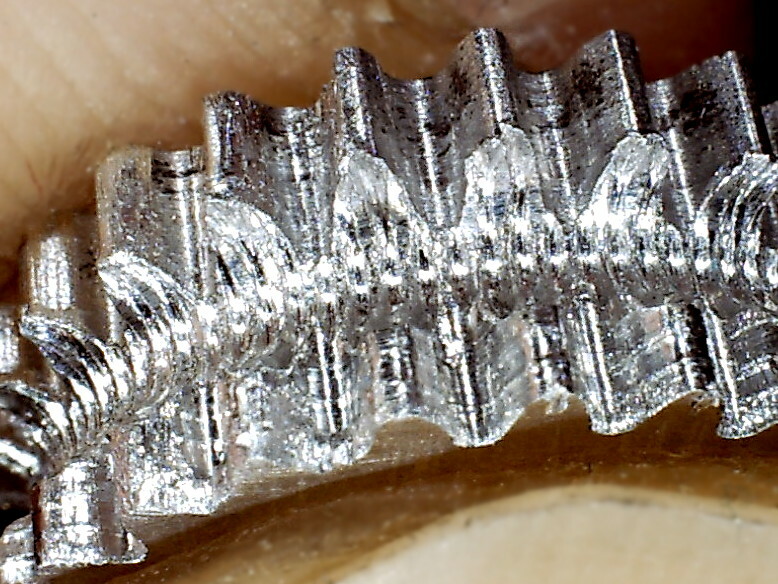 There is a common technique for making hobbed bolts for 3d printer extruders using a screw tap. It happens that an M2 thread is perfect size to fit a 1.75 mm filament. Keeping the gear mounted on the Dremel spindle (with the Dremel turned off), I mounted an M2 screw tap on a drill, and used it to cut small teeth into the groove. 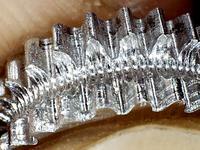 The screw tap will make the gear spin and cut a perfect thread around it. The tiny teeth still got clogged with plastic debris after a while. 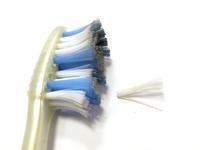 What do you use to keep your teeth clean? A toothbrush of course. I pulled a small bundle of bristles from an old medium-hardness toothbrush and used a bit of superglue to hold them as a bundle. I then tapped a M2 hole in the aluminum body of the extruder and inserted the bundle there. 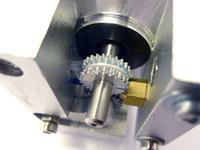 An M2 bolt can then be used to push the bristles against the gear. This appears to work quite well, atleast when printing with ABS — I haven't tried PLA yet. The constant brushing action removes the plastic particles before they get stuck inbetween the teeth. Even after tens of meters of filament, there is still nothing stuck in the groove, even though a bit of plastic dust collects elsewhere in the extruder. After having solved the gear issues, the extruder has worked very reliably. Mounting the extruder motor on the spool holder does not appear to be very common, but I have to wonder why. It seems the most logical and reliable way to do it for Bowden cable extruders. 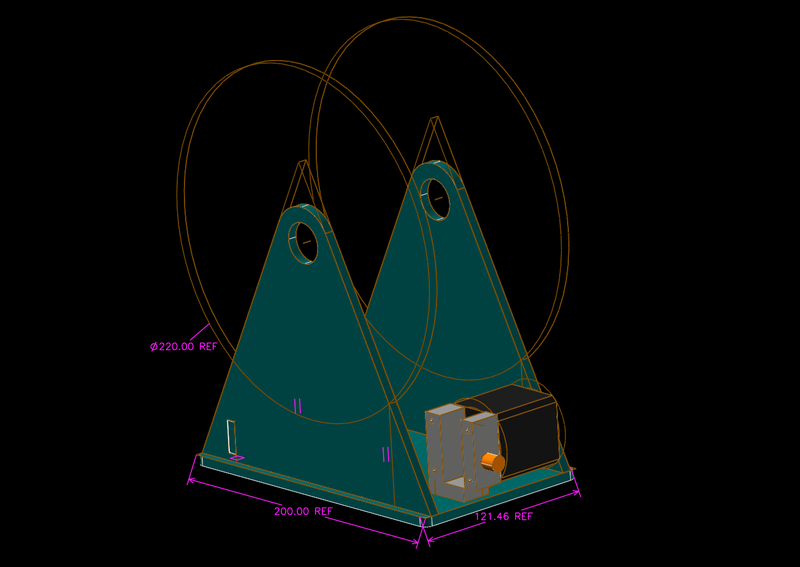 You can download the SolveSpace design files for the spool holder and Inkscape file for the gear.